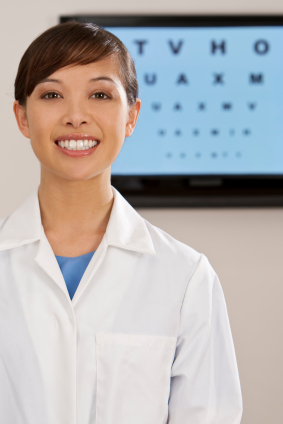 Optometrists are responsible for examining eyes, testing vision, and prescribing corrective lenses. Like all medical fields, employment in optometry is growing very rapidly, and there is a correspondingly large amount of financial aid offered to interested students. The following brief sample of current optometry scholarships will give you an idea of the many different places to find assistance. The Health Resources and Services Administration (HRSA), a division of the U. S. Department of Health and Human Services, funds the Scholarships for Disadvantaged Students program, which includes students of optometry. Applicants must qualify having disadvantaged backgrounds, for which the most easily recognizable criterion is financial need. The U. S. Department of Health and Human Services has formulated a definition used to evaluate scholarship applications. HRSA awards funds to participating medical schools, which then select recipients and disburse the money. Check with your school’s financial aid office for more information. The Dr. A. C. Marcaccio Memorial Scholarship goes to a third-year student who exhibits financial need and is noted for community service. The Wal-Mart Optical Division Educational Scholarship looks for a student in the first, second, or third year who has an excellent academic history (at least a 3.0 GPA). You must also have financial need, show leadership, and plan to practice in the community. The Walman Scholarship brings between $1,000 and $4,000 to a full-time student in the second or third year. There is a single application for all scholarships called the Student Data Sheet. The Dr. Nathan and Laura Millman Scholarship rewards a student for excellence in classwork. The Petry Lomb Scholarship/Research Grant in the amount of $1,500 (at minimum) goes to a student who demonstrates both merit and need, and has a desire to make a personal contribution to optometry. The Adolph and Ruth Schnurmacher Foundation and Charles and Mildred Schnurmacher Foundation Merit Scholarships present ten awards of $1,500 each to the students with the highest GPAs. The Presidential Scholarships, handed out early in the application cycle, pay half your tuition. Your GPA as an undergraduate must be at least 3.5, your OAT score must be at least 350, and you must show professional potential. The Trustees Scholarships vary in amount depending on available funding, and are intended to attract excellent students. The Illinois College of Optometry Scholarships for Underrepresented Populations, conversely, are designed to increase diversity in the school. While applicants are considered automatically for the two previous scholarships, students must announce themselves as candidates for these awards. HOYA Vision Care, a manufacturer of lenses, has established a program combining grants and scholarships given to third- and fourth-year students. Students enter the competition by submitting an ePoster Case Study in which a HOYA product was used. Each participating school chooses one winner of a $1,000 grant, and after review by HOYA one of those students also receives a $6,000 scholarship. The OneSight Research Foundation administers the Dr. Stanley Pearle Scholarship Fund, which distributes twenty scholarships worth $2,000 apiece every year. OneSight has moved away from paper to an online application, and there is an annual deadline for submitting your information. Characteristics desired by the foundation’s evaluation committee include scholastic excellence and strong commitment to serving the public through the practice of optometry. The Dr. David W. White Jr. Memorial Scholarship, sponsored by the Mississippi chapter of NOA, awards $500 to a student in the first three years of an optometry program who has at least a 2.5 GPA and plans to practice in Mississippi after graduating. The Georgia chapter of NOA funds the Dr. C. Clayton Powell Georgia Student Award, for an active member of NOSA with a 3.0 GPA and leadership ability. Applicants must desire to practice in Georgia.